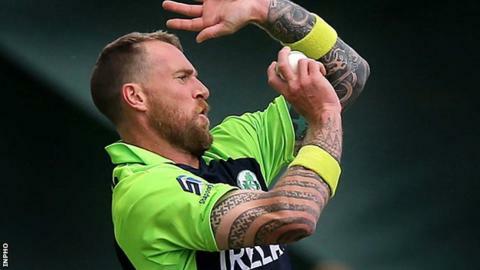 Leinster Lightning retained the Inter-provincial 50-over Cup after a 79-run victory over Northern Knights at Waringstown on Sunday. The Knights reduced Leinster to 101-5 before a 89-run partnership between Dom Joyce (36) and Eoghan Delaney (48). Lightning were bowled out for 217 with one ball to spare and the Knights made a good start in their reply before being dismissed for 138. John Mooney (4-25) and Yaqoob Ali (3-20) starred for the champions. Lightning secured five points, enough to see them win the title ahead of their final game against the Warriors.